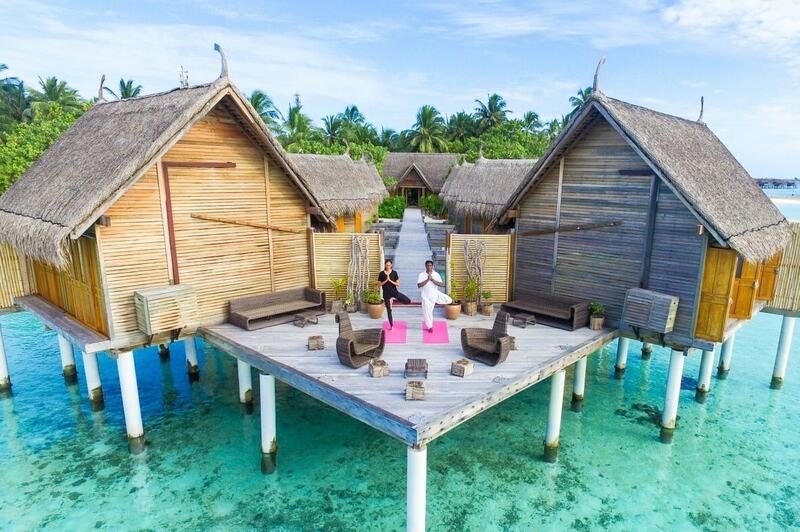 Set on the secluded Moofushi Island in the Alifu Atoll of the South Ari Atoll, Constance Moofushi brings together luxury and simplicity to create a slice of heaven on earth. Exuding barefoot chic, the resort boasts exquisite accommodations, award-winning dining, world-class facilities, and an array of land and water-based activities to enjoy. Epitomizing luxurious island-style living, beautifully appointed contemporary villas set on the beach or suspended over the water ensure an intimate and unforgettable experience. Designed for elegant comfort and style, suites and villas boast modern décor that echoes the surrounding accents of this island oasis. Elegantly furnished to enhance the creature comforts of home with special extra touches, living areas have deluxe amenities such as air-conditioning throughout, fully-stocked mini bar-fridges and flat-screen satellite televisions, DVD players, iPod docking stations, and international dial telephones. The elegant over-water Uspa by Constance offers a selection of indulgent and pampering spa treatments against a backdrop of breathtaking views, as well as a yoga pavilion and steam rooms, while a fully equipped fitness center, outdoor infinity swimming pool, and beach volleyball courts provide ample ways to keep fit. International buffet-style feasts, exceptional dining experiences and sunset cocktail hours are offered at several restaurants and bars around the resort, and a dedicated dive center provides snorkeling and scuba diving excursions on the house reef and renowned dive sites in the area. Constance Moofushi features a variety of luxurious accommodation for all tastes, including 24 Beach Villas, 56 Water Villas, and 30 Senior Water Villas. All villas feature island-inspired décor and furnishings in soft, natural hues of whites, creams, and beiges with spacious living areas, king bedrooms with en-suite bathrooms with private outdoor sun decks with stunning views. 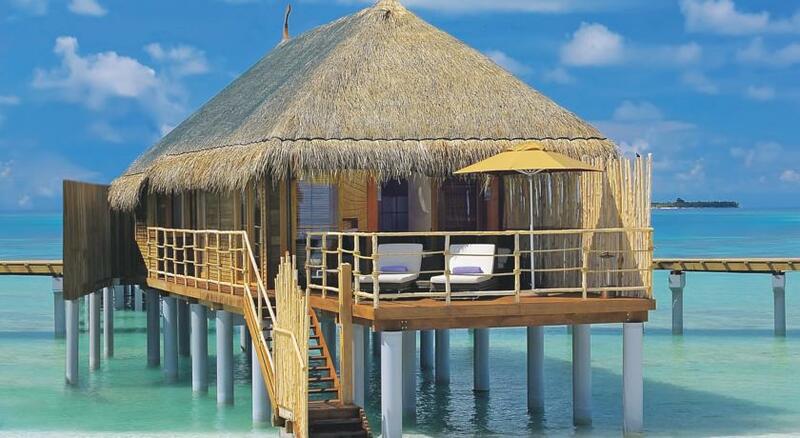 Located right on the beach with spectacular ocean views, Constance Moofushi Beach Villas are beautifully appointed thatched beach cabanas with 57 square meters of indoor and outdoor spaces that blend seamlessly together. Stylishly decorated king bedrooms have en-suite bathrooms with soaking tubs and walk-in rain showers, and an outdoor sundeck with direct access to the beach and ocean. 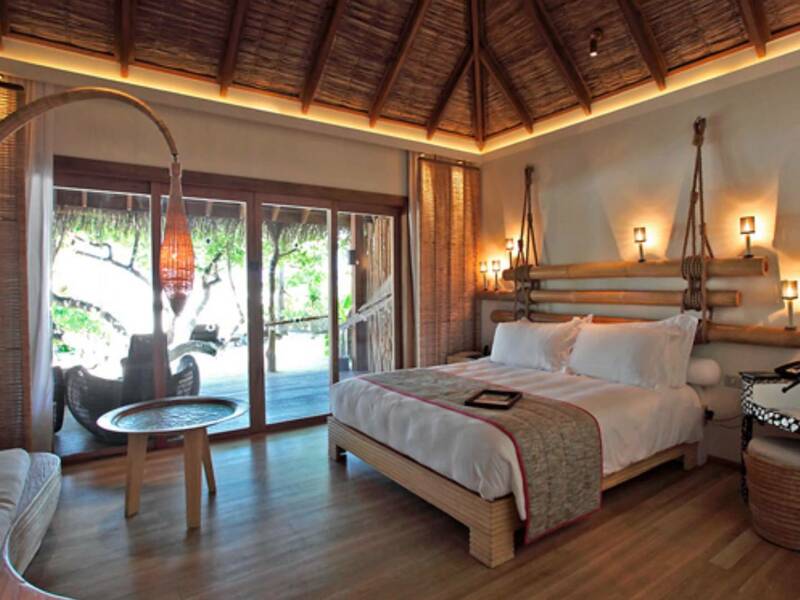 Constance Moofushi Water Villas are set on the water’s edge and boast 66 square meters of luxurious living spaces, king bedrooms with en-suite bathrooms featuring soaking tubs and walk-in rain showers, and outdoor sundecks overlooking the lagoon. 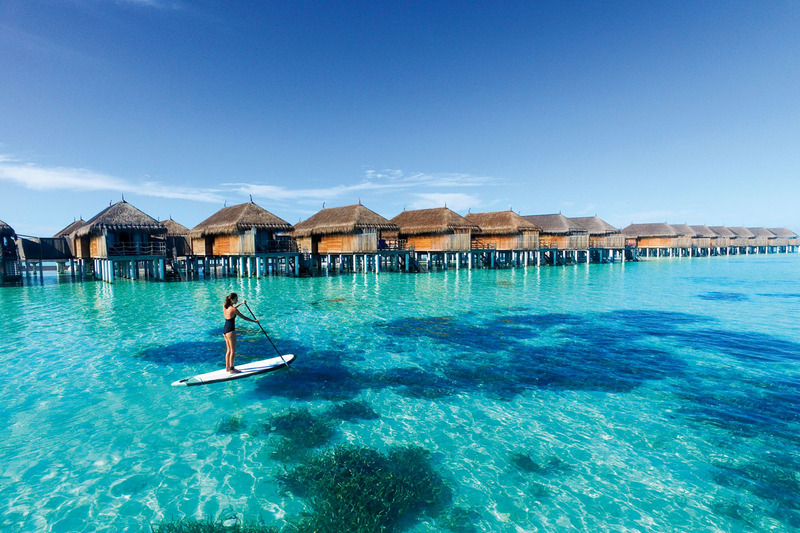 Constance Moofushi Senior Water Villas offer the ultimate in luxury with 94 square meters of luxurious living spaces set on stilts over the water. King bedrooms have en-suite bathrooms with outdoor soaking tubs, walk-in rain showers, and double vanities, and outdoor sundecks boast loungers overlooking the lagoon. Constance Moofushi boasts two restaurants which serve an array of award-winning international cuisine and fine wines from around the world, and two bars, where an extensive bar list of handcrafted cocktails, signature spirits, artisan beers and excellent wines can be enjoyed. 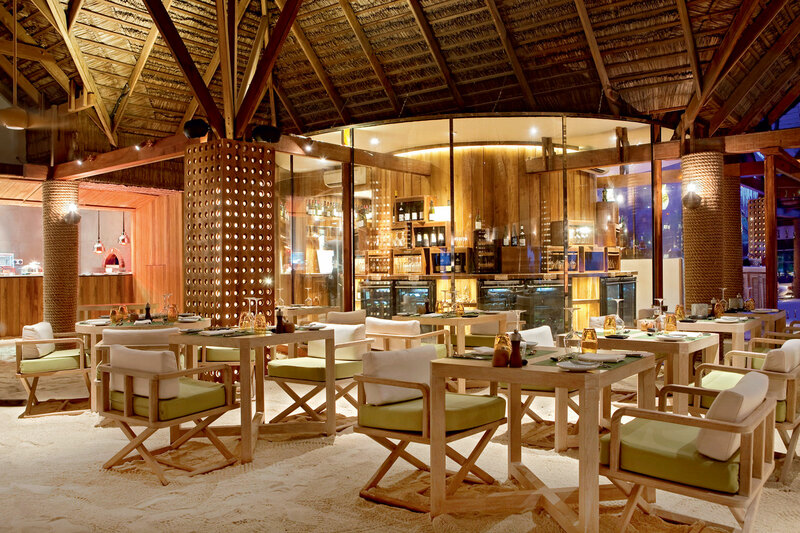 Set right on the beach overlooking the ocean, Manta is a sandy-floored restaurant that offers diners a culinary journey around the world with a live cuisine experience of sumptuous dishes. 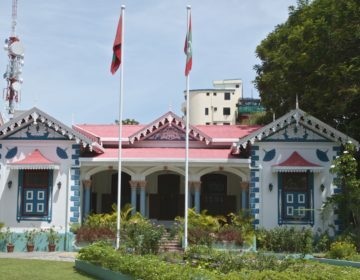 The restaurant serves lunch and dinner in a buffet style with themes changing daily from local Maldivian specialties to Italian nights of pizza, pasta, and mouthwatering entrées. 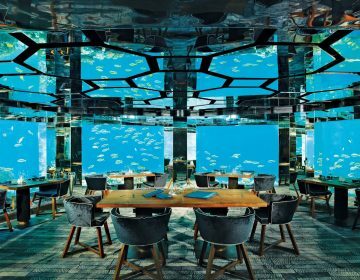 An acclaimed wine cellar houses a wide selection of the sommelier’s suggestions to accompany the cuisine, and the over-water extension of the restaurant gives guests incredible views of the azure waters of the Indian Ocean. 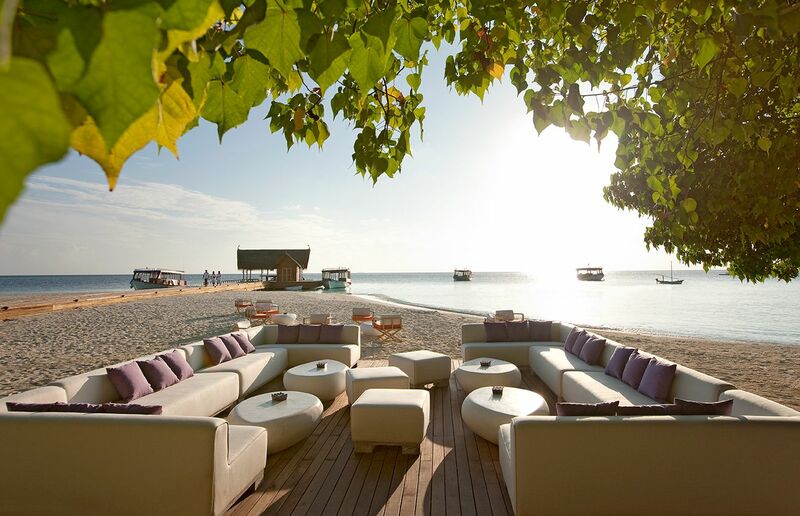 Alizée Restaurant is a casual á la carte beach grill style restaurant that serves dinner just a few meters from the sea. With their toes in the sand, guests dine on fresh seafood, burgers, and steaks off the grill, gourmet sandwiches and fresh salads, and other slow-grilled fare in a casual and relaxed atmosphere. Located next to the main restaurant, the Manta Bar a lively, tropical and friendly atmosphere with sandy floors and comfortable lounge areas where cocktails can be sipped to the tunes of the resident DJ. The Totem Bar is tucked beneath a canopy of indigenous trees on the beach and features ethnic décor carved out of driftwood. The casual bar serves a menu of freshly brewed iced teas and smoothies during the day, along with a snack menu for lunch, and is the perfect spot for sundowners in the evenings. Constance Moofushi’s elegant over-water Uspa by Constance is set on a wooden jetty above the gin-clear waters of the ocean and offers a tranquil retreat in which to relax, re-hydrate and rejuvenate the body, mind, and soul. The spa features six treatments rooms, including two couple’s treatment rooms, a state-of-the-art gym with fitness cardio equipment, free weights and strength machines, and a yoga pavilion. A highly skilled team of therapists and beauticians provide a range of pampering treatments from classic massages to nature-inspired facials and body treatments. 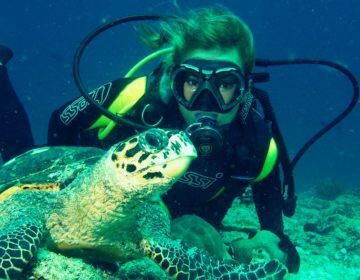 Guests at the luxury resort have a wealth of recreational activities and sports to enjoy from scuba-diving, snorkeling, and swimming with manta rays to Dhoni excursions, kayaking, and big game fishing. 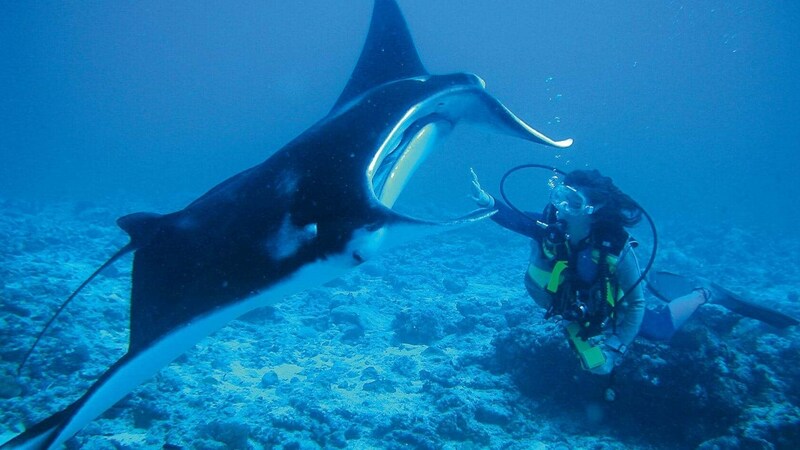 Other complimentary outdoor recreational activities include an outdoor infinity swimming pool that seems to merge with the ocean, pedal boats, canoes, kayaks and boats for hire, day and night fishing charters, dolphin watching excursions, catamaran sailing, beach volleyball, and windsurfing. Guests can also visit the island’s local fishing village of Himandoo to learn more about the local Maldivian culture, take a sunset cruise on a traditional dhoni, or head out in search of dolphins, turtles, manta rays and other amazing marine life in a guided wildlife watching trip. 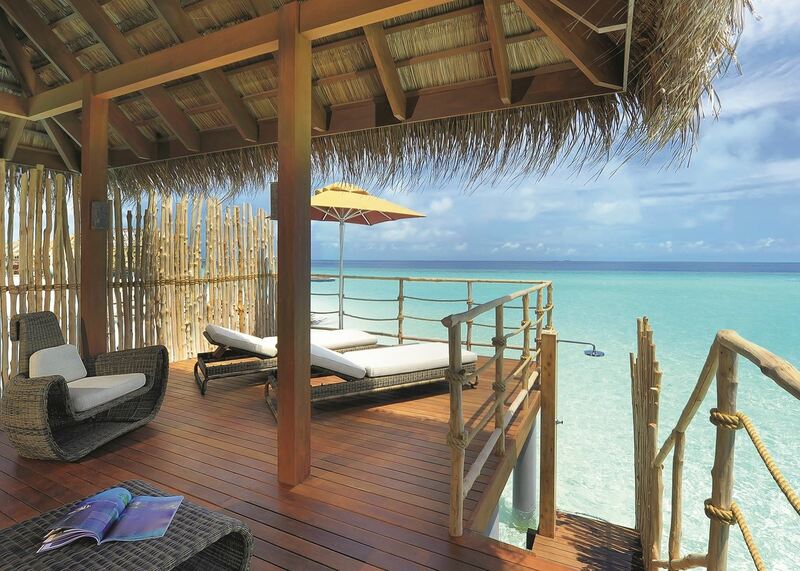 Constance Moofushi offers exquisite venues for once-in-a-lifetime weddings and honeymoons. Designed for an all-inclusive experience of a lifetime, the resort offers a selection of wedding and honeymoon packages for all budgets and tastes, namely Light, Delight, and Infinity.